Alfred Music Publishing commemorates 90 years of helping the world experience the joy of making music. With nearly 100,000 active titles—totaling millions of educational music resources, methods, supplements, and sheet music collections stocked in music stores around the globe—a world-class author and artist roster, and more than 400 educational events and clinics conducted each year, Alfred continues to serve as the world’s largest educational music publisher. 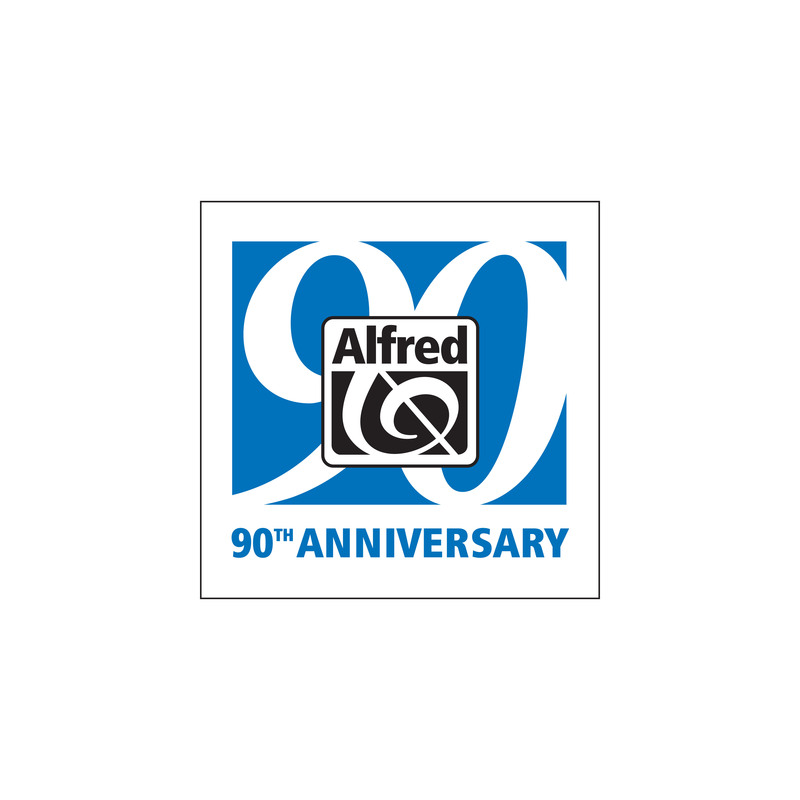 Alfred Music Publishing celebrates 90 years of helping the world experience the joy of making music. We wouldn’t have achieved so much in these 90 years without the spirit and hard work from Alfred’s staff, authors, editors, composers, and partners. Alfred Music Publishing’s history began in New York City, founded in 1922 by composer and musician Alfred Piantadosi. The company was then purchased in 1928 by Sam Manus, a violinist who provided mood music for silent films. Manus’ son, Morty, began his professional career in the late ’40s at Alfred—the place where he also met the bookkeeper’s daughter and wife to be, Iris. As Morty took the helm of the company in the ’50s, his focus was on educational music products, resulting in the production of successful instructional series for both recorder and guitar—including the title most noted then, and still a best-seller today—Alfred’s Basic Guitar Method. Morty continued to fuel Alfred’s dominance in educational music publishing by expanding into the school market in the ‘60s and ‘70s, introducing Alfred’s Basic Piano Library in 1982, and releasing the Accent on Achievement band method series in 1987. 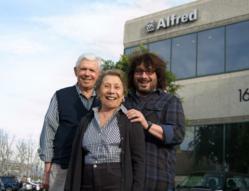 To this day, Alfred is still a family-owned and operated business. In 1997 Steven and Ron Manus became co-owners, leading the charge into the next millennium. Alfred continued to expand under their leadership, with the purchase of Warner Bros. Publications in 2005, acquiring the rights to Warner/Chappell Music, Inc. and the EMI Catalogue Partnership. Through this deal, Alfred gained the print rights of legendary publishers such as M. Witmark & Sons, Remick Music Corp., and T.B. Harms, Inc. Among the EMI holdings are the Robbins and Leo Feist catalogs, plus film music from United Artists, MGM, and 20th Century Fox. Alfred also acquired educational power brands as a result of the deal, including Suzuki, Belwin, and many others. During the mid-to-late 2000s, Alfred also acquired the print rights to A-list artists like Led Zeppelin, Journey, Rush, and Bruce Springsteen, in addition to ABKCO Music, Inc., publisher of The Rolling Stones. Alfred also established distribution deals with BBE Sound, TASCAM, Mighty Bright, Ultimate Support, and many other music gear and equipment manufacturers. Daisy Rock Girl Guitars, the original girl guitar company launched in 2000 by President and Founder Tish Ciravolo, entered into co-ownership with Alfred in 2003. Daisy Rock Girl Guitars’ continues to help girls play guitar and enjoy music—a mission very much in sync with Alfred’s. Alongside this growth, Alfred’s forward-thinking has led to the release the first-ever customizable instrumental methods Sound Innovations for Concert Band and String Orchestra, as well as new media educational apps such as Music for Little Mozarts and iChord Guitar for Androidtm and Apple® devices. In 2009 Ron Manus became CEO and sole owner of Alfred. A valued employee since 1988, Ron is propelling the company to new heights and is involved in the company’s daily activities. In his first year as CEO, Ron launched the Alfred Cares initiative, renewing Alfred’s commitment to reducing its environmental impact. In 2011, Ron oversaw the company’s partnership with the world renowned video game publisher Nintendo®, resulting in the release of Super Mario Bros.TM and The Legend of ZeldaTM sheet music series, for the first time in the USA. To view Alfred Music Publishing’s 90th Anniversary commemorative video, visit http://youtu.be/9GGwkikXj6E. To learn more about Alfred Music Publishing and its catalog of educational and popular artist print music, visit alfred.com. Alfred Music Publishing is the world’s largest educational music publisher. Alfred produces educational, reference, pop, and performance materials for teachers, students, professionals, and hobbyists spanning every musical instrument, style, and difficulty level. Alfred’s home office is located in Los Angeles, with domestic offices in Miami and New York as well as offices around the world including Australia, Germany, Singapore, and the United Kingdom.